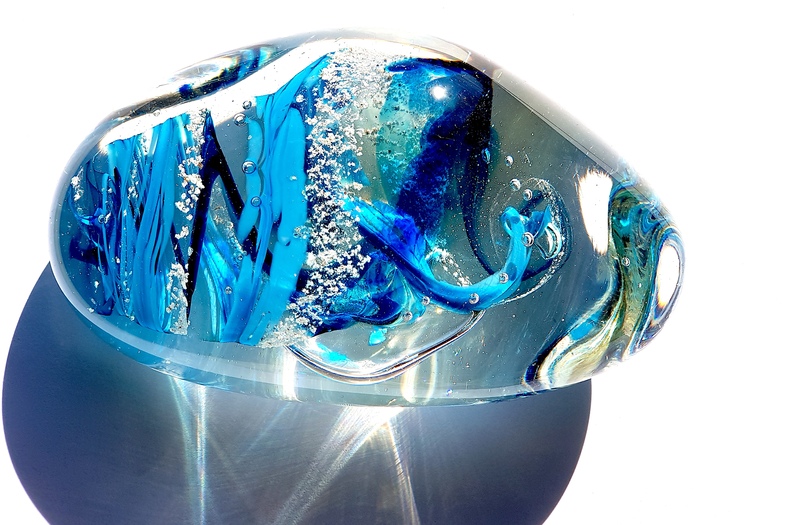 SALT glass offer families the unique experience of creating themselves a glass paperweight using cremated ash as a perfect way to remember a loved one or pet. 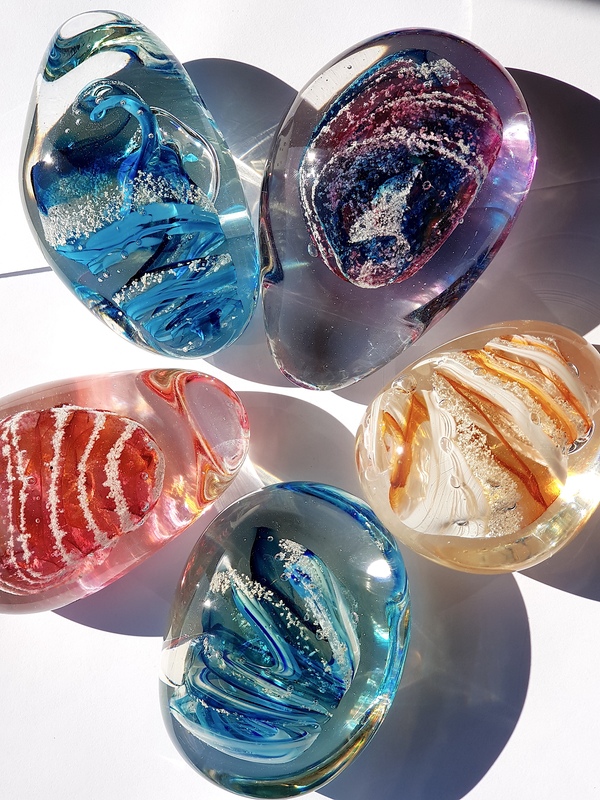 Our expert glassmakers teach families how to mix a small amount of cremated ash with a chosen colour glass to make a wonderful glass paperweight as a lasting memory. To order this course purchase the courses online and then contact SALT to book a course date. Once courses are booked families bring human and animal ash in a clean plastic bag. We require approx a teaspoon full of ash for each paperweight. Please contact SALT for further information.